Enjoy a good whisky on the rocks? Windsor, Ontario, also known as Whiskytown, Canada, is home to North America’s largest distillery and pumping out some world class whiskies. In fact, visitors across the globe are starting to recognize the city and region and a whisky tourism destination. So to celebrate that (yes, we’ll use any excuse to celebrate with a glass of whisky), we recommend sipping on these 4 whiskies distilled right here in the heart of Whiskytown, Canada to start your experience. 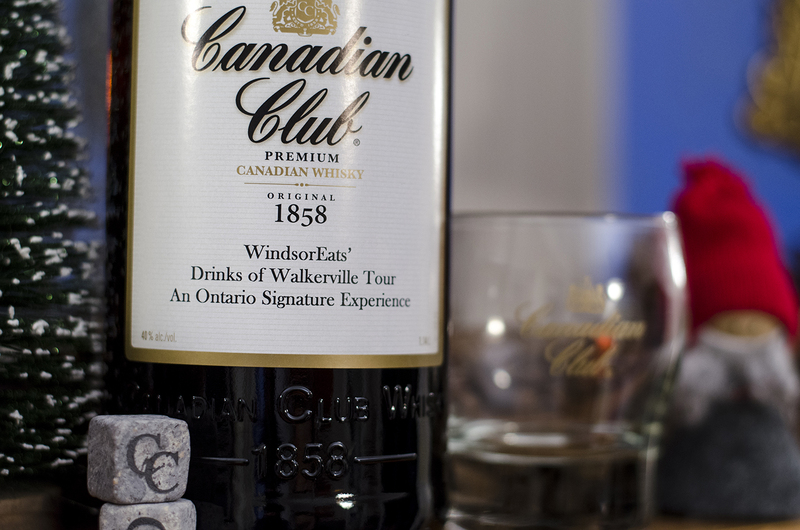 If you’re going to enjoy whisky made in Whiskytown, Canada, you have to sip the whisky that started it all. It’s the classic known around the world and will set the stage for everything else you’ll taste while wandering throughout the city. 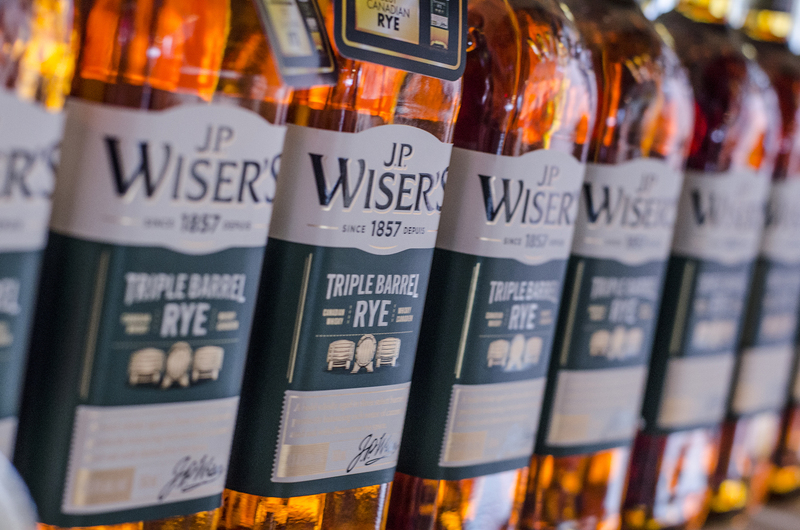 Triple Barrel Rye whisky from J.P. Wiser’s in Windsor, Ontario. The Triple Barrel Rye whisky offers a finish that’s silky smooth and long lasting, combining distillates from used whisky, first-fill bourbon, and virgin oak casks. However, you can’t officially call yourself great without any accolades. Good thing the Triple Barrel was the winner of a gold medal at the 2017 Canadian Whisky Awards and also named the 2017 Sippin’ Whisky of the Year. 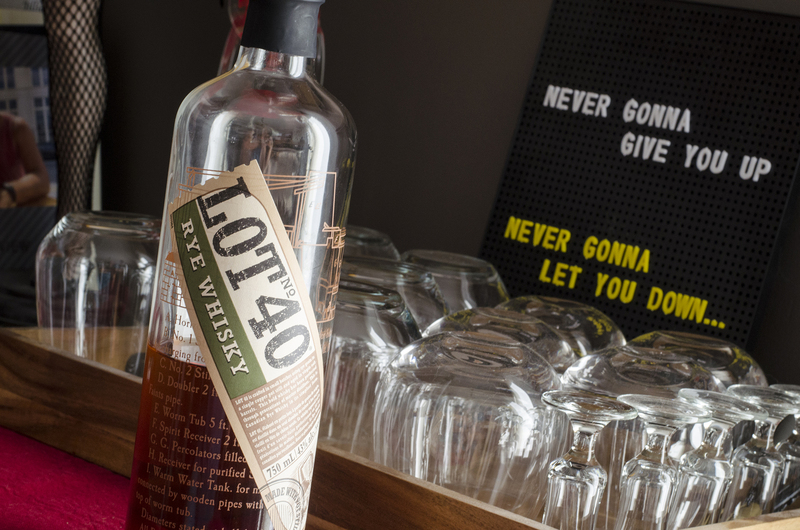 Lot 40 Canadian Whisky is made in Windsor, Ontario. 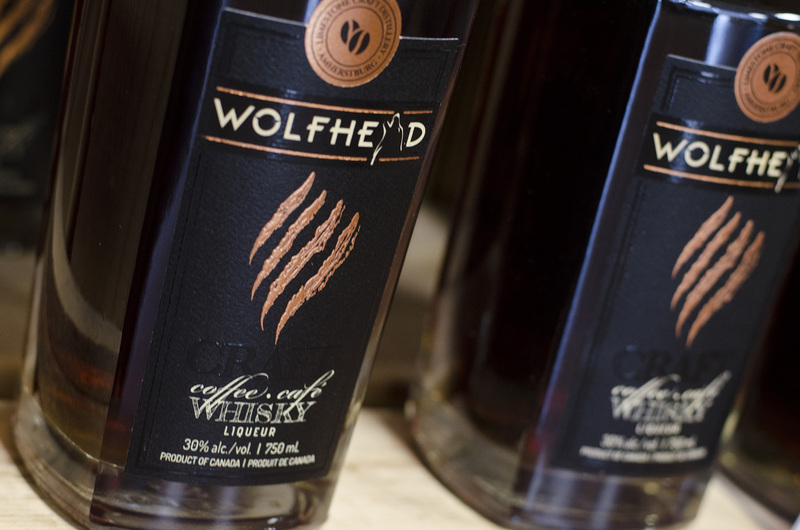 Wolfhead Coffee whisky is distilled at Wolfhead Distillery in Amherstburg, Ontario. Wipe that preconceived opinion of flavoured whiskies out of your mind. This bottle from Wolfhead Distillery can be the perfect introductory whisky for those on the fence about enjoying the golden nectar of the gods. It smells just like a cup of coffee in your hands. If this has piqued you’re interest in exploring and learning more about Whiskytown, Canada, we recommend the Drinks of Walkerville experience. It’s award winning, will teach you all the history and, more important, tasting all the beverages that make it great.